Pretty Little Darling Knit Dresses, and Sweaters! I discovered the Little Darlings on Pinterest in January 2015. 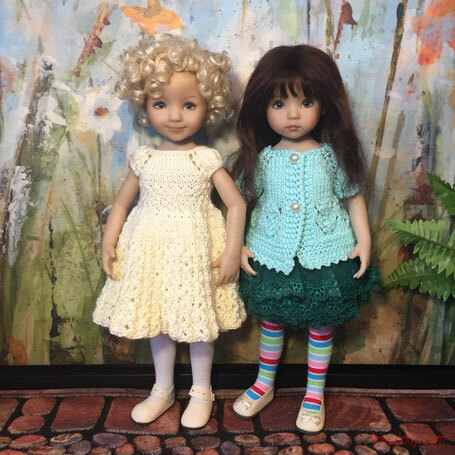 And I was completely taken with how these pretty dolls were dressed in adorable knit dresses. So last year I collected four, from Fifi, a dressmaker in France, fifi7057. Happy! That was good! But then I saw this cream dress, with a red lace ribbon, on eBay. From Natalia in Russia, 15natlai4, whose dresses I saw first on a Facebook page. I told the story, last November, of how I succumbed when not just this dress but six more showed up as a package deal. So here are photos of these pretty dresses, and of the top-and-lace skirt set that were a part of the set. First, a photo of the dresses from France. We have several of these in different colors, and the girls have worn them a lot, since they arrived in 2015. Both pretty and practical. From randonne2012, on eBay. Fifi's dresses... So cute. And good for three seasons! My Little Darlings and I are in love with all of these dresses! 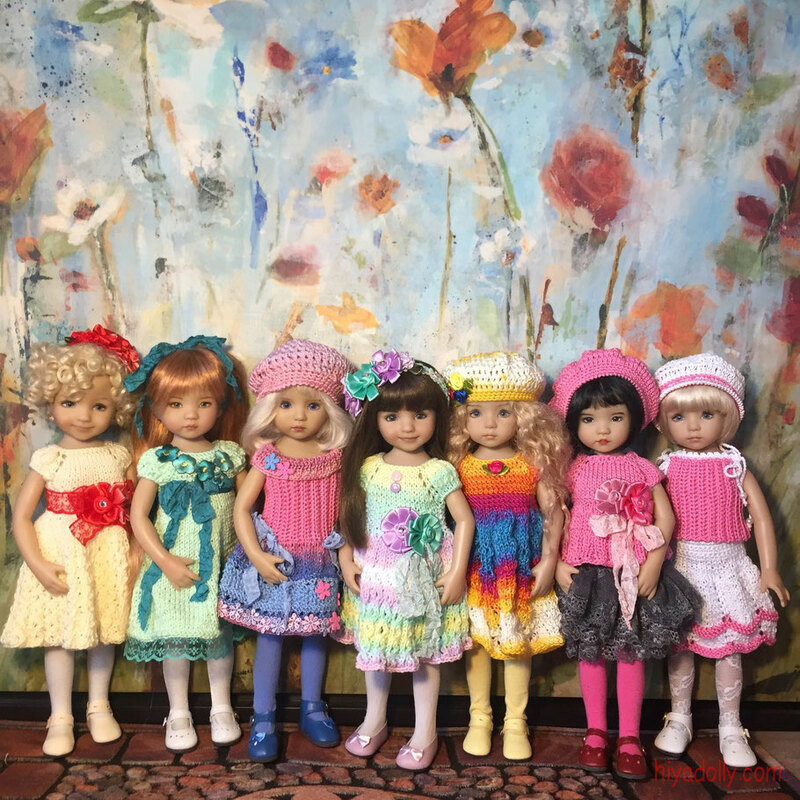 The girls wore them for our sorting and info post, Dolltown Little Darlings...posted today too! All the photos are done, but now I am going to fix Lula's hat. Did she pull it down like that? Or was it me? That rainbow dress she is wearing is unbelievably pretty! They all are! Yes, these dresses are to long for. I know. I did! A little envy is going back and forth I think... Deal with it, girls! 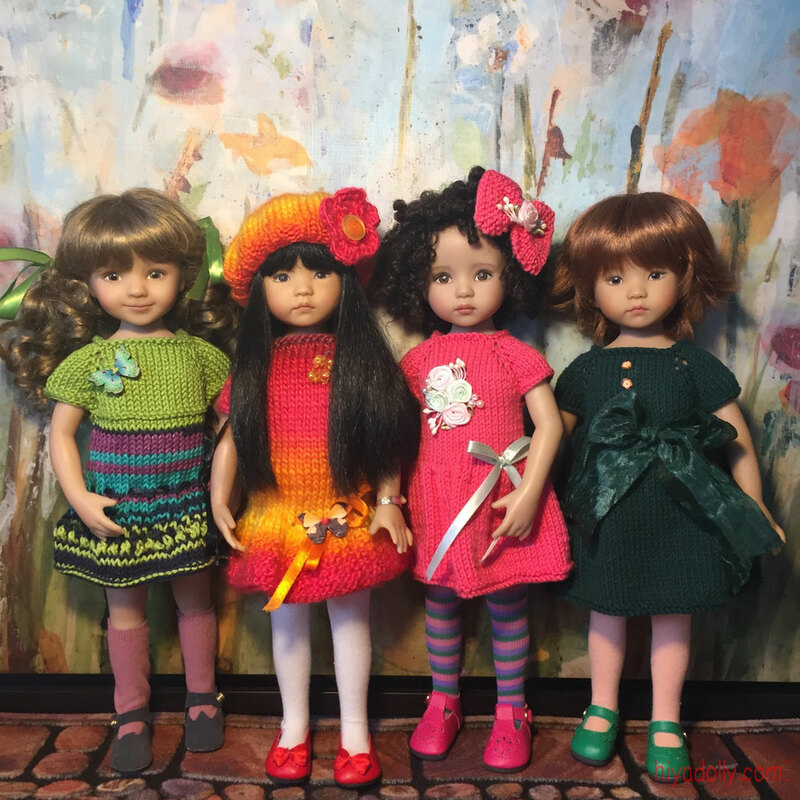 It just shows all our dolls have fabulous lives, April! Just photoshop Conner's little face onto one of these girl's! And put the gorilla and Buffy on two more!